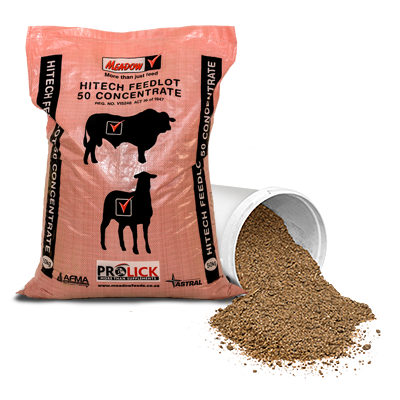 The ration is a very high quality sheep fattening feed. 23.9% of protein is derived from urea. 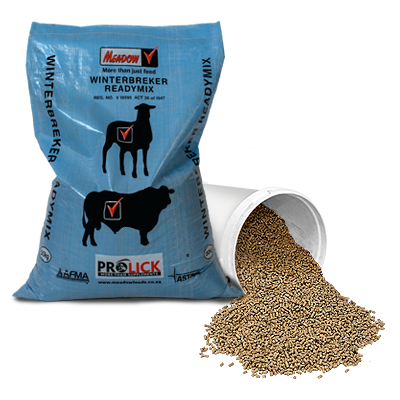 Start by feeding 300g per sheep per day plus roughage. Increase gradually un the sheep are on ad lib. feedings after 2 weeks. No additional roughage is needed after this period. 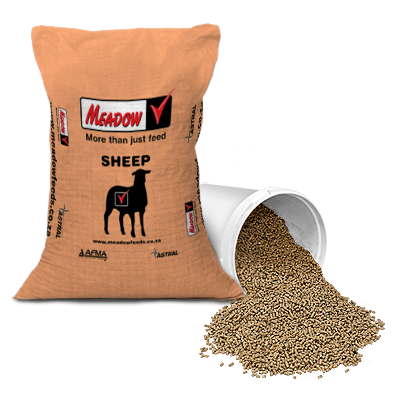 Ration may be used for any sheep older than four months. Vaccinate for Pulpy Kidney before feeding. Offer hay ad lib. 4 days before feeding. 1. To be fed ad lib. with clean fresh water. 2. NB! Vaccinate against pulpy kidney prior to feedlotting. 3. Offer hay ad lib. for 4 days prior to introducing feed ad lib. 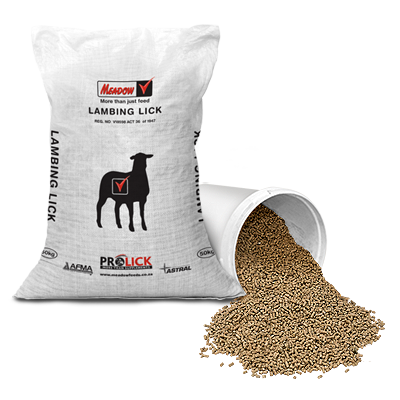 The ration is an excellent source of protein, energy, macro and micro minerals and vitamins for the young lamb. The ration can be fed ad lib to lambs in a creep feeder. Feeding should commence when the lambs are two weeks old. Lambs must have free access to the feed in the creep feeder. 2. To be fed up to weaning at 63 days. 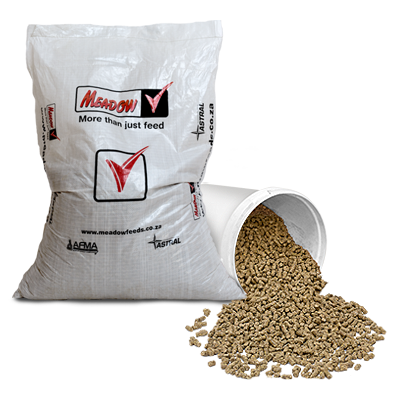 The ration fed in the adaption period when feedlotting. The ration can also be used as a maintenance feed to maintain weight during the drought season. 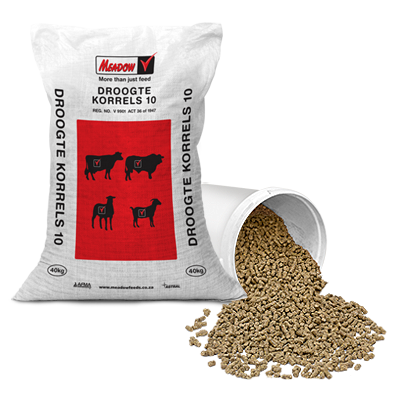 8.73% of protein is derived from urea. The ration is to be fed ad lib. 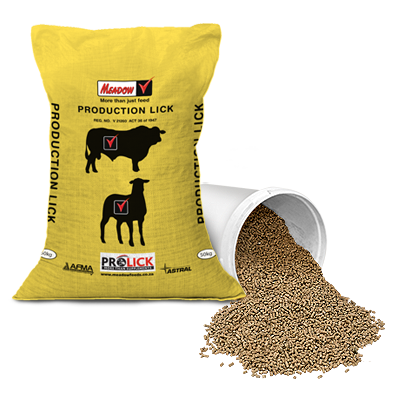 A cost effective product with a wide ranges of uses providing the ruminant (cattle, sheep, goats and game) with nutrients for optimal production. 10mm cube for ease of feeding. 1. Do not exceed 3% of live weight. 2. 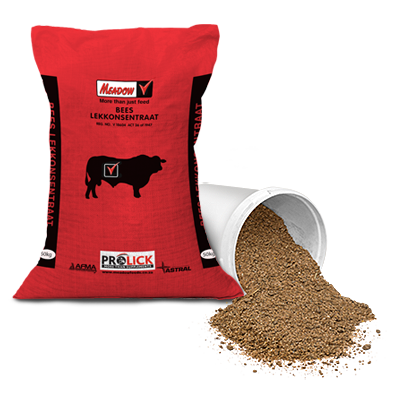 Feed level dependant of function. Consult your Meadow TA. 3. Offer good quality hay ad lib. Not to exceed 3% of live weight. 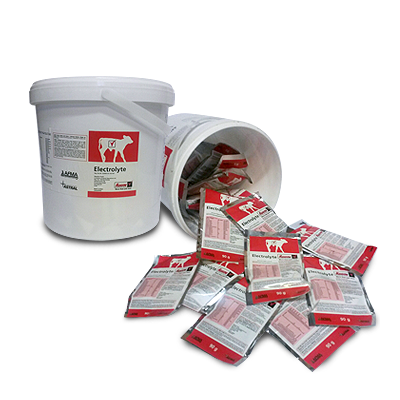 Depending on the situation, intake will vary from restricted 3kg/day to maximum. A cost effective product with a wide ranges of uses providing the ruminant (cattle, sheep, goats and game) with nutrients for optimal production. Mainly used in times of drought (shortage of roughage). 10mm cube for ease of feeding. 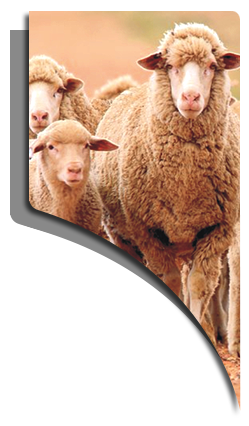 To be fed no more than 3% of body mass, as replacement for roughage during periods of drought. 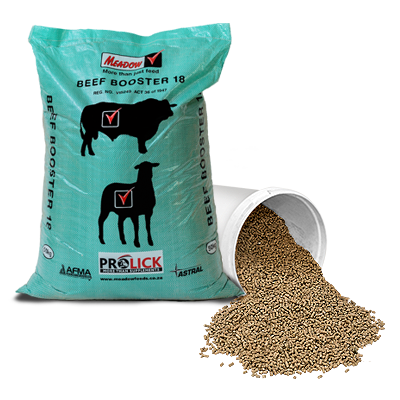 Depending on circumstances, feed intake will vary from 2kg/day to a maximum of 8kg/day. 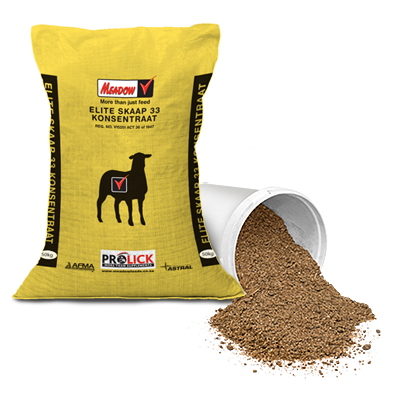 The ration can be used to maintain the ewe and lamb on veld grazing. 22.1% of protein is derived urea. 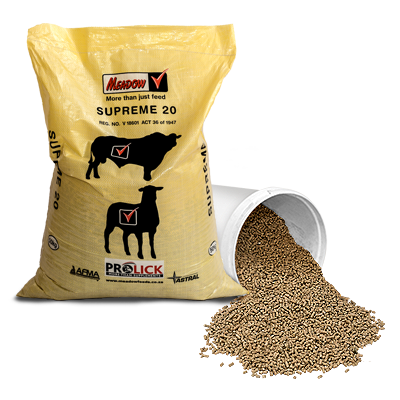 Animals should gradually be adapted to the feed. The quantity to be fed depends on quality and quantity of roughage or grazing available. Roughage/grazing should be available at all times. *At minimum intake, the level of this mineral does not meet the minimum requirements for a mineral supplement for cattle as prescribed by Act 36 (1947). 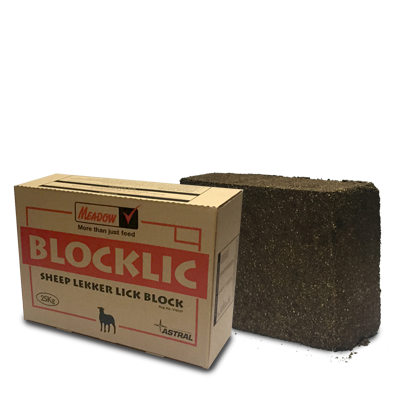 #At minimum intake, the levels of these minerals do not meet the minimum requirements for a mineral supplement for sheep as prescribed by Act 36 (1947). 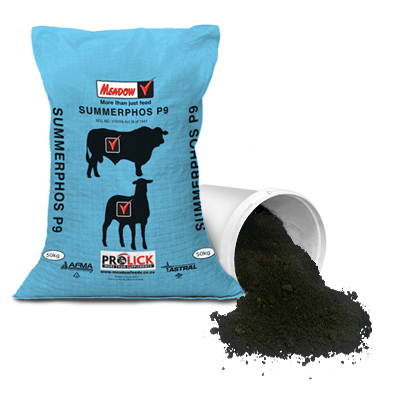 *At minimum intake, the levels of these minerals do not meet the minimum requirements for a mineral supplement for ruminants as prescribed by Act 36 (1947). *At minimum intake, the levels of these minerals do not meet the minimum requirements for a mineral supplement for cattle and sheep as prescribed by Act 36 (1947). 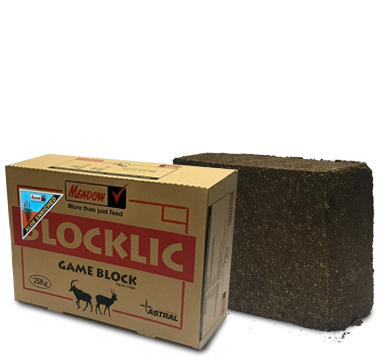 *At minimum intake, the levels of these minerals do not meet the minimum requirements for a mineral supplement for game as prescribed by Act 36 (1947).